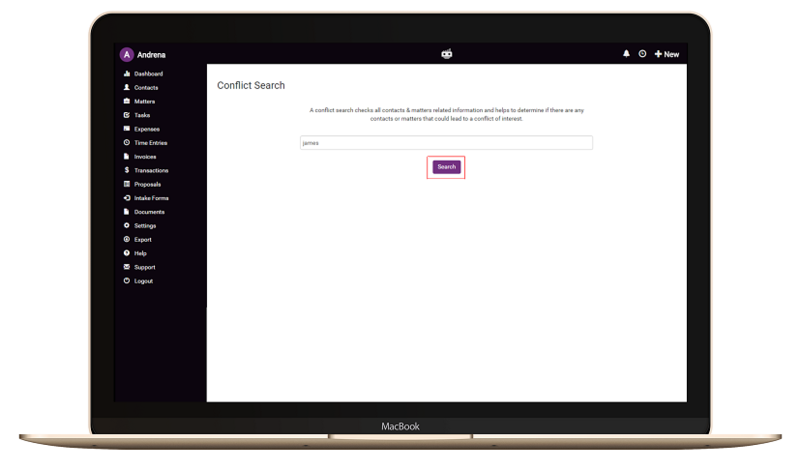 Manage all your conflicts at a single location, easily. Get instant info on all your interests. Sign up new clients with confidence. Donot worry about existing conflicts anymore. Search across all your contacts. Search across all your matters. Search even your custom fields. Search on mobile, tablet or desktop. Delegate to team members with Full access controls. Conveniently search for any conflict of interest with your existing business before signing up new clients.